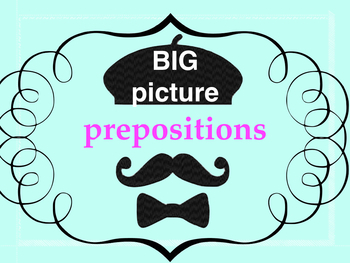 In this document you will find two types of big picture explanations of prepositions that express time. 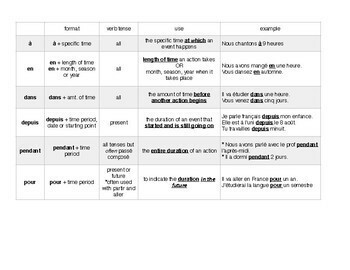 The first page is a chart that shows students some of the different prepositions that express time. Included in the chart: à, en, dans, depuis, pendant, pour. On the second page, you will find a brief explanation of il y a, pendant, depuis and pour. All have examples.